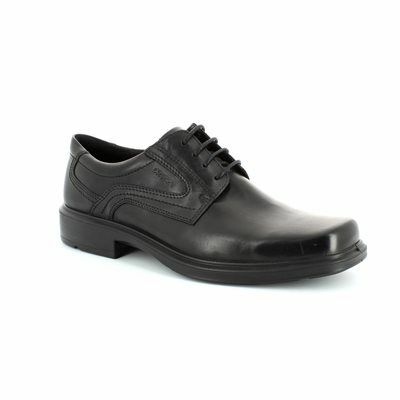 Rieker bring us B14B8-25 BUGATIBRO. 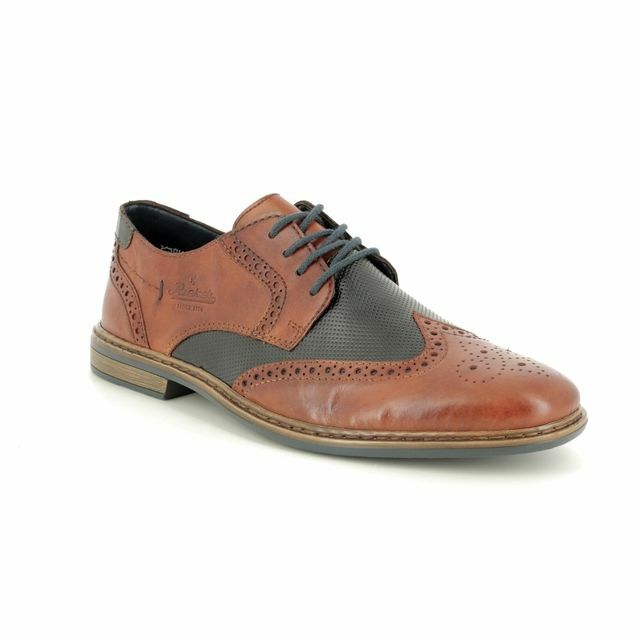 Ideal for the discerning gentleman, these stylish men's brogues add a stylish twist to any outfit. 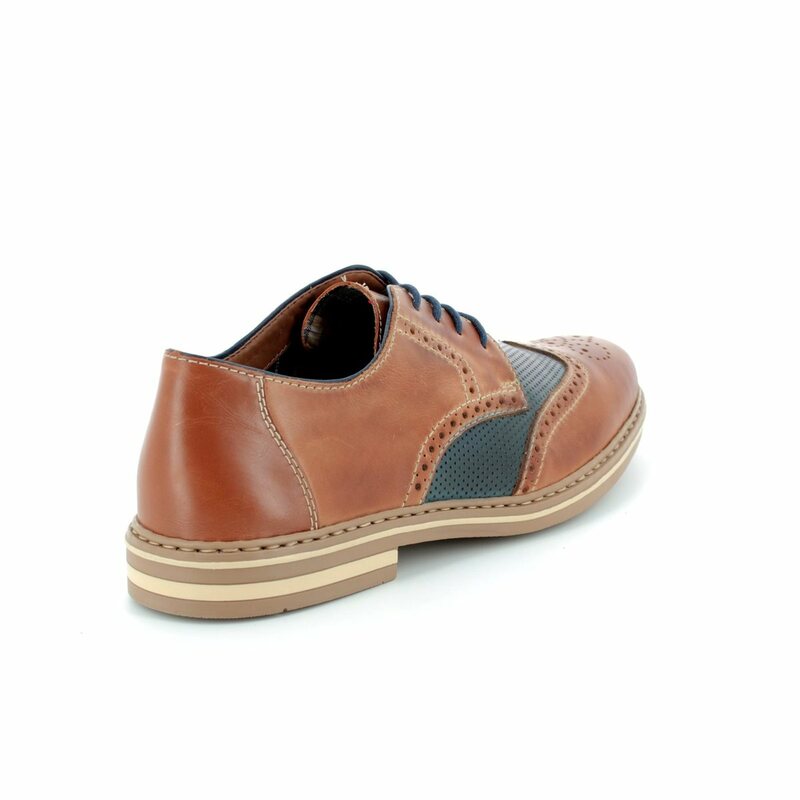 The upper features dual toned panelling in tan and black with complementary black laces. Rieker have used delicate pinhole detailing on the black panelling while the tan panels feature a brogued edging. 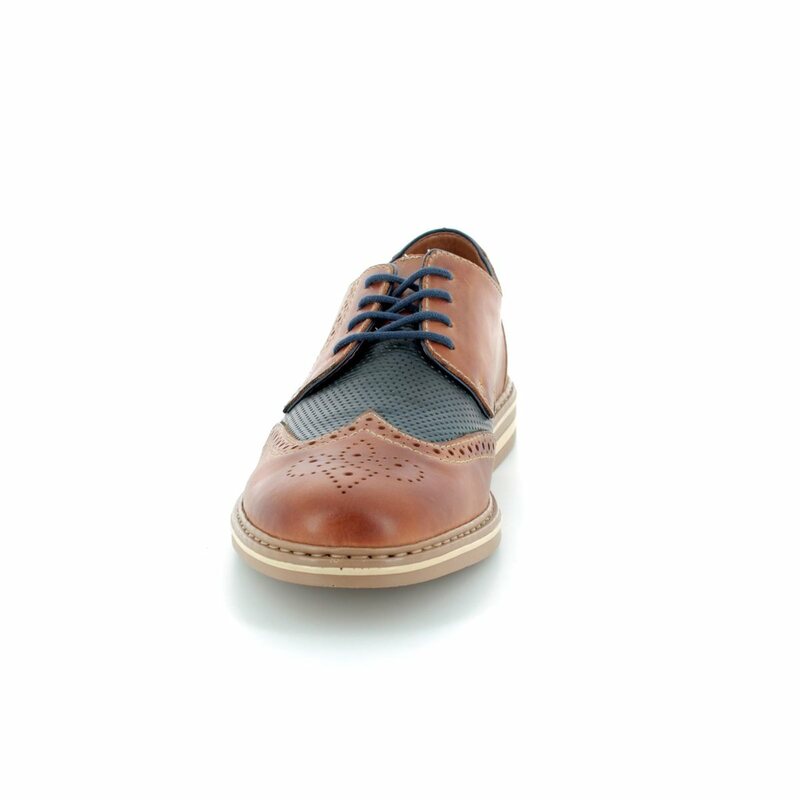 The lace fastening allows these brogues a secure and adjustable fit. 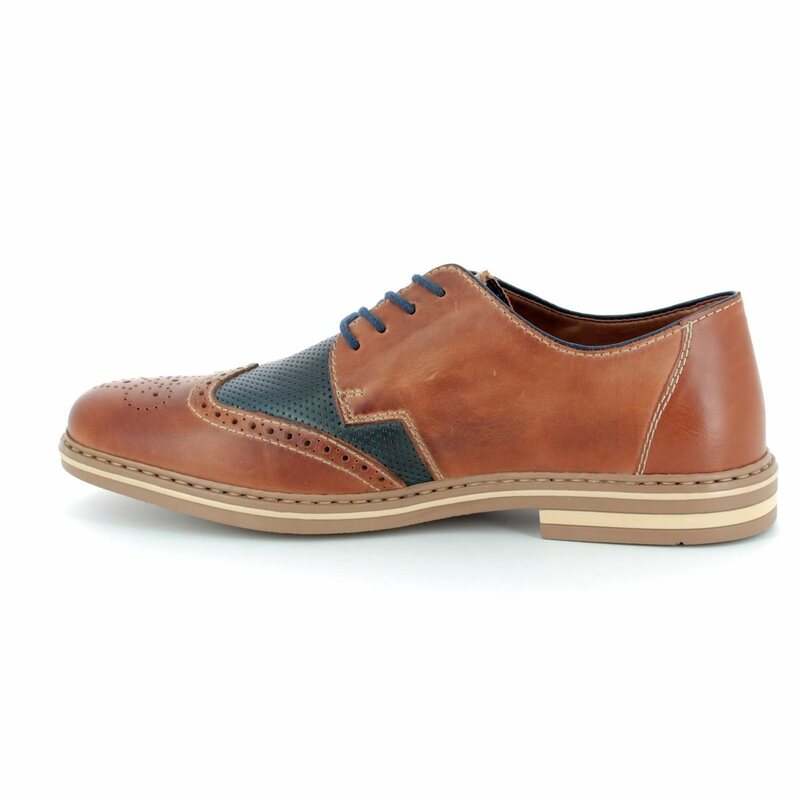 Stitch construction has been used to secure the sole unit of these men's shoes to the upper increasing the overall flexibility. Pair these with jeans or chinos for the ultimate in masculine chic. 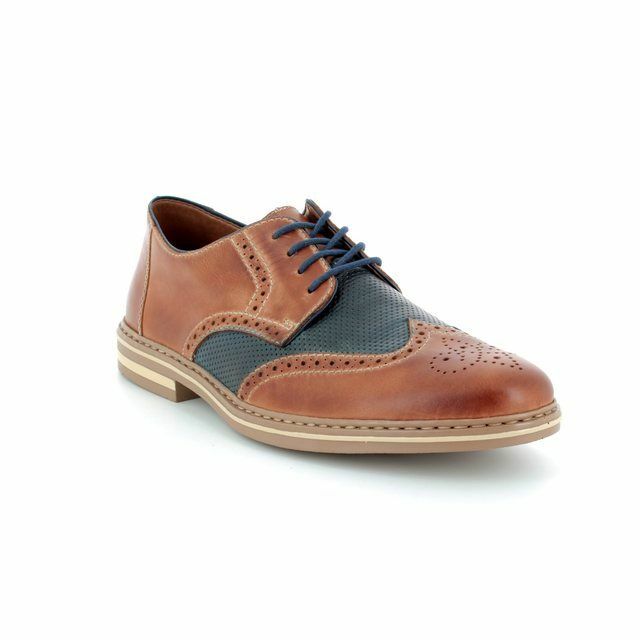 Buy your Rieker men's brogues from Begg Shoes, an official Rieker stockist.